Even Carlsberg couldn’t beat an Assynt sunset! I who am possessed by it?’ It sums up perfectly how I feel about this wonderful little country that possesses me. Back in May, a mere two days after returning from NYC (the city that never sleeps) we headed to Assynt an unspoiled, sparsely populated region in the North West Highlands of Scotland to relax and unwind. Assynt is an area of outstanding natural beauty, which has grown in popularity since the North Coast 500 (NC500) driving route was created. After a four-hour drive from Edinburgh we had a quick pit stop at the dog friendly Seaforth Inn in Ullapool for a tasty lunch, before heading northward to Assynt to start exploring. Ask anyone who knows Assynt what it’s famous for and you’re likely to hear mountains. Some of Scotland’s most iconic mountains can be found in the region. Two of the best known are Stac Pollaidh (pronounce it Stack Polly to avoid making a fool of yourself) and Suilven. While Scotland’s mountains often merge into one another in vast ranges, here you’ll see them stand alone, giving them a striking and unique appearance. Sadly, our trip didn’t allow us time to climb any. Suilven might only be a mere 731 meters high but don’t be fooled as it takes 7 – 9 hours of effort to get up and down it. I’ve been up and down Munros (914 meters +) in 3 hours or so. Not being able to climb the muckle lumps during our trip didn’t stop us from admiring and photographing them. Before checking into our Accommodation we stopped at Ardvreck Castle on the shore of Loch Assynt. It may not be Scotland’s most intact castle ruin but it’s certainly one of the most striking. It sits in a stunning, remote spot. Like most Scottish castles it’s steeped in folklore. The castle dates back to the late 15th century and was a stronghold of the MacLeods of Assynt. It was here in 1650 that the Marquis of Montrose, still loyal to the Royalist cause after the execution of Charles I in 1649, sought sanctuary from Neil MacLeod of Assynt after suffering defeat in battle. MacLeod wasn’t home but his wife Catherine was. She led Montrose to the castle dungeon, where she locked him up and notified government troops of his whereabouts. He was taken to Edinburgh and executed. Not the finest show of Highland hospitality ever. Ardvreck is said to be haunted by a tall man dressed in grey, believed to be connected to Montrose’s betrayal. 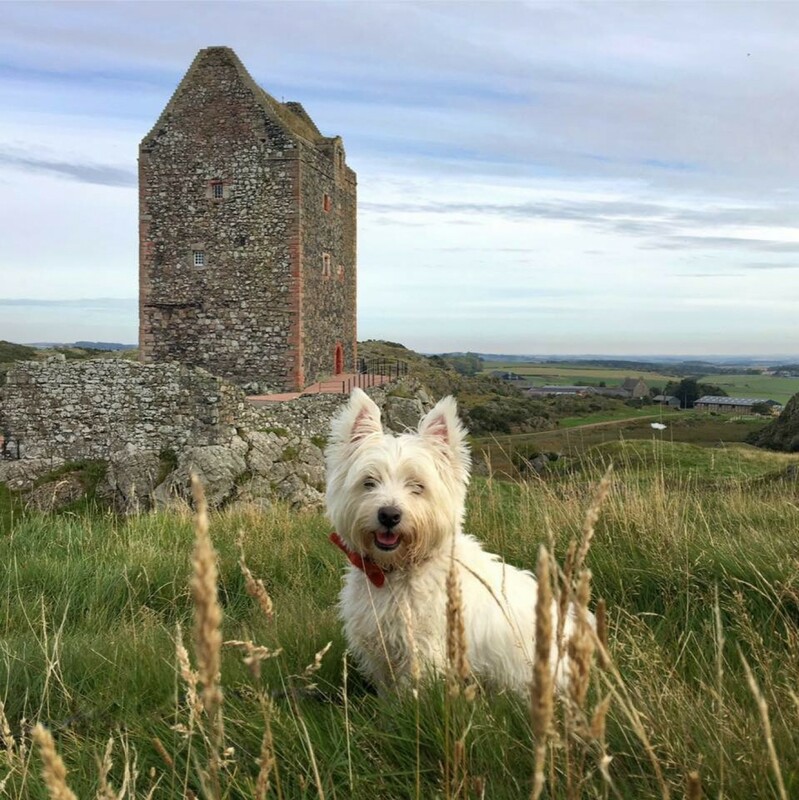 Legend has it that Ardvreck Castle is also haunted by the daughter of a MacLeod Clan chief, who dismayed at her father doing a deal to marry her off to the devil hurled herself from the castle battlements and died. It’s definitely an atmospheric spot and not somewhere I’d fancy spending a night wild camping under the stars. Highland hospitality & the best sunset EVER! We stayed at the Altnacealgach Inn during our trip. I wasn’t expecting much as it was cheap, cheerful and in the middle of nowhere. It turned out to be fantastic. A tiny remote inn, with a row of freshly renovated self-catering lodges sitting right next to it. The location was perfect too, right on the edge of Loch Borralan and with a view of the iconic Suilven in the distance. The hospitality and wonderful home cooking were exceptional. Our hostess a lovely Welsh lady fussed over us for the duration of our stay. She was a brilliant cook. Her fresh and simple home cooked meals were some of the best I’ve ever eaten on my travels. The Wee White Dug delighted with the fine display of Highland hospitality on show decided to make a big effort for dinner and donned his good Harris Tweed tie. His effort didn’t go unnoticed and he lapped up the attention. Later as Mr G and I enjoyed a drink and admired the view from the conservatory the wee dug lectured about the importance of dressing well. Thankfully as he droned on something spectacular happened outside so we hurried outdoors for a better look. That Assynt sunset – wowzer! The sun doesn’t set half-heartedly in Assynt. What we witnessed that night was absolutely spectacular. A total jaw-dropper. We stood in wonder soaking up the view as the sky glowed orange and Assynt’s iconic mountains stood silhouetted against a backdrop of fire – wow. I can safely say that this was the best sunset I have ever witnessed. Next morning we ate a hearty breakfast and were on the road early to enjoy some sights on and around the NC500. We stopped repeatedly to admire the views. Kylesku with its iconic bridge and spectacular scenery was impossible to drive through without stopping for some snaps. On the lookout for a decent walk and some off the lead fast running for the boy we made the beach at Balnakeil Bay our next port of call. The car park by the beach sits next to the imposing and bleak looking Balnakeil House. Built in 1744 by the MacKay Clan as a family mansion it’s now a luxury holiday let and could be yours for a mere £3,500+ per week. My Mother-in-Law was a MacKay before becoming a Grant by marriage so I suggested tongue in cheek that we could be looking at an ancestral pile. Mr G has zero interest in genealogy though so wasn’t for humouring me. I fantasised quietly about inheriting the house by some tenuous and previously unknown family link. Opposite the house sit the picturesque ruins of Balnakeil Church. Inside the churchyard you’ll find the grave of Elizabeth Parkes, aunt of John Lennon. Lennon spent several childhood holidays in the area visiting family. A handful of days earlier we’d stood outside the Dakota Building by Central Park where he lived and was murdered. A stark contrast to this remote and ruggedly beautiful corner of Scotland connected to his childhood. Tucked away in an alcove inside the ruined church you’ll find the grave of a notorious local villain, Domhnull MacMhurchaidh or Donald MacLeod. MacMhurchaidh is said to have murdered 18 people and terrorised the area in the first half of the 17th century but more about him later. After my history fix we enjoyed a lovely long walk along the beach. It was unbelievably beautiful and like the sunset from the night before Balnakeil also became a favourite of mine – my favourite Scottish beach. It sits on a huge sweeping bay of turquoise water and golden sand. Giant rolling sand dunes are fringed by the wild grasses of the machair. The boy was in his element and bombed around like a lunatic doing his best fast running. His day got even better when he met a pretty little Westie with a bow in her hair. He flirted outrageously. Walking there that day I felt truly happy and completely carefree. What a joy to have access to such outstanding natural beauty without having to travel half way across the World. After our walk we grabbed a quick and tasty take-away lunch from the nearby Sango Sands Oasis Bar & Restaurant before heading to one of the main visitor attractions in the area. Smoo Cave is a natural wonder. A massive cavern carved into the coastline. It’s free to visit and absolutely not to be missed. The wee dug was wary at first and was muttering about pirates but he seemed to calm down when I pointed out that he was confusing Smoo with the pirate Smee from Peter Pan. In reality pirates were the least of his worries as this is where we pick up the story of our old friend Domhnull MacMhurchaidh again. It’s said Domhnull murdered his victims by throwing them to their death through the blowholes in the roof of Smoo Cave. Believing the devil lived below he thought his victims would never be discovered. Thankfully there was no sign of Auld Nick inside and with Domhnull long dead and buried back at Balnakeil there were no bodies to rain down on us from the blowholes above. On a less sinister note excavations at Smoo Cave have unearthed evidence of an Iron Age midden (rubbish heap) inside suggesting the cave has long been valued by humans as a safe, dry shelter with a plentiful food source right on the doorstep. Later that afternoon we passed Loch Eriboll a sea loch with historic links to the Royal Navy. Deemed as a safe haven for ships to anchor away from the treacherous waters of the nearby Cape Wrath and Pentland Firth ships were anchored here during the Second World War. British servicemen nicknamed the loch Loch Orrible (horrible) on account of the wild weather they encountered while stationed there. Our final stop of the day before heading back to the Alt Inn for the night was Tongue which is reached by a causeway. Castle Varrich a medieval Clan MacKay stronghold sits perched atop a rock outcrop watching silently over Tongue. I didn’t bother suggesting we may be looking at another ancestral pile, albeit a uninhabitable one this time, after Mr G’s obvious lack of interest back at Balnakeil House earlier. That evening we enjoyed another excellent meal and a couple of drinks, minus a dramatic sunset – och well too much of a good thing and all that. Next morning after breakfast we rounded off another memorable trip with a visit to the National Nature Reserve at Knockan Crag. Here you can see some of the oldest rocks in Europe and learn how the continents collided to create the World as we know it today. Despite our combined knowledge of geology amounting to diddly squat it was an interesting visit and a lovely walk, even in drizzle and fog. Immaturely the highlight of our visit were the talking statues of rock mappers Benjamin Peach and John Horne of the Geological Survey in Scotland. John Horne bore a striking resemblance to the radio DJ and TV personality Terry Wogan. We set the wee dug up for a photo with Tel and oh how we laughed. Later we pretended we were being chased downhill Indiana Jones style by the giant stone ball sculpture which sits precariously on the crag. See, when it comes to history I’m all grown up but give me a subject I know little about and I’m like a naughty five year-old on a school trip. I hope that this has given you a little taste of this amazing corner of Scotland. Writing this blog has made me long to go back. I’ll end as I began, with a few beautifully written lines of Scots poetry which really resonate with me. Previous A wellie wearing weekend in Gairloch! Most wonderful photos and words, thanks a lot (as alwsays) for sharing. Stunning and incredible. A must share. Thank you. I hadn’t realized you were a Grant (even if only by marriage). I, too, am a Grant, and I’ve traced my father’s line across the US to Scotland, and one ancestor in the 1600’s who lived at Castle Grant. But did he live in the fancy digs, or perhaps down in the kitchen? Ancestry.com isna saying. Recently I met two women at a local Highland Games (in California) with two Westies. I told them about your blog, and they were thrilled. So if the wee white dug’s ears were burning, he was being discussed. (Favorably.) Love your writing and the photos. I hope you never run out of Scotland to explore! Such a smart boy with his plaid tie on and those sunsets are to die for!